Sometimes I get stupefied by the kinds of conversations I sit through/encounter. There is one type of conversation (among many) that baffles me to no end but can make my head explode in less than 5 minutes. It is the constant reminiscing about overcoming personal poverty and dismissing the current struggles that other people face while in poverty. Why? WHY REMINISCE ABOUT THAT???!!! 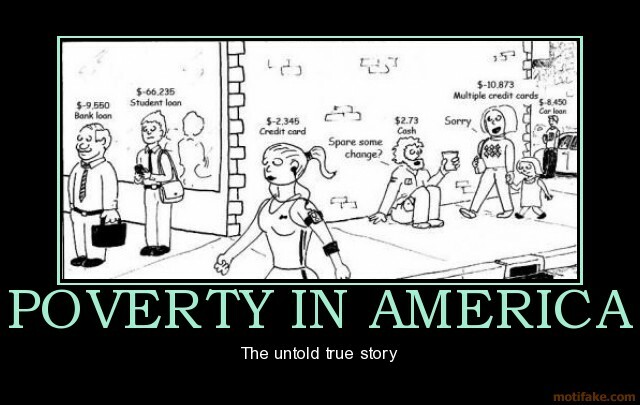 POVERTY IS NOT A RITE OF PASSAGE!! It’s irritating because such attitude dismisses other people’s struggles as if their problems were so easy to solve. It is also heartless to say the least. “Oh I remember back when I didn’t have _________ but managed to to _________ for several years and did just fine”. “Oh but why don’t you do __________ or __________? I did and everything came out just fine”. talk down on people who are still struggling and ignore other factors and setbacks that do not allow the proposed solutions to solve the problems. It is a constant lack of empathy from those who are oblivious that is ruining any hopes and chances of a lot of people to get out of bad situations and escape poverty. If you are not in that kind of situation, congrats! Why not point at the right direction on how to overcome similar setbacks? Yes it is true that there are lots of opportunities to overcome such setbacks, but not everyone has the same information on how to do so. Or even the same luck. Yes LUCK. That is something no one wants to admit but it does take hard work and LUCK to succeed. LUCK is that overall factor that is beyond personal control. LUCK can cover and influence everything from job prospects, housing, health issues, etc. A person can do everything within his or her power to get out of poverty and then something like BAD LUCK can wreck havoc on such plans (bad health, bad boss, bad job market, bad housing, bad family situations). That is why I don’t reminisce about my past or current struggles. Misery likes company and I’d rather not partake in that. The best way to help people get out of poverty is providing some useful information and some empathy. Or take him or her out for a beer.